Beeswax is a natural wax produced in the bee hive of honey bees. The wax is formed by worker bees. Its color varies from nearly white to brownish, but most often a shade of yellow, depending on purity and the type of flowers gathered by the bees. 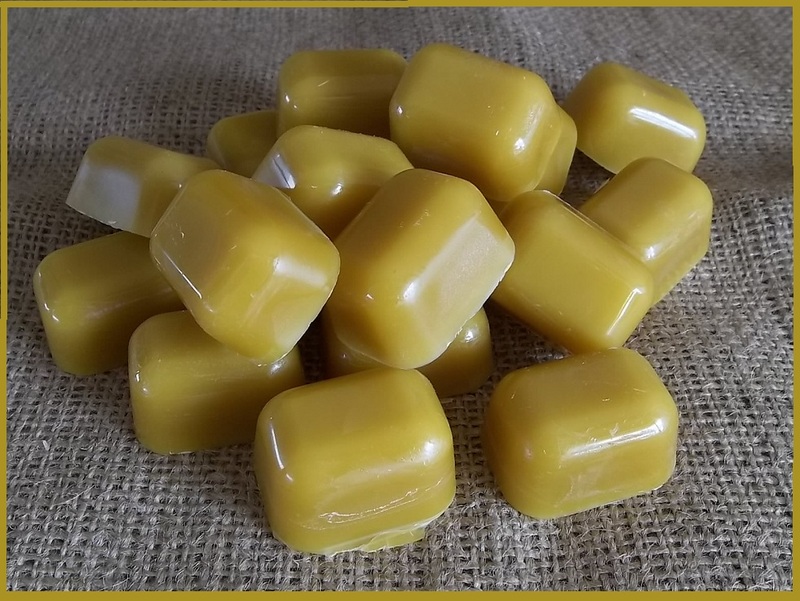 Beeswax has a relatively low melting point range of 62 to 64 °C. If beeswax is heated above 85 °C discoloration occurs. Now sold in a very convenient size for the home craft person. Beeswax Polish for food serving boards, chopping boards, salad bowls and wooden serving utensils. Recipe: Use a 1:4 ratio of beeswax/oil (any food grade oil, olive grape seed, sunflower etc).